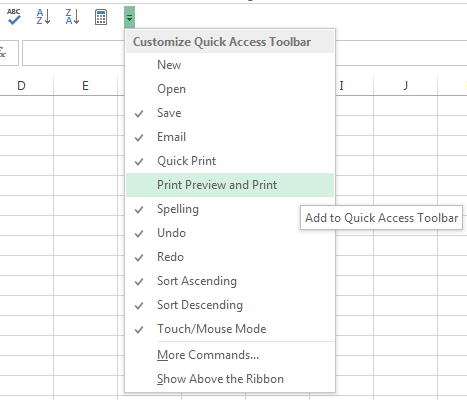 The Quick Access Toolbar is a customizable toolbar. Quick Access toolbar contains commands from different tabs. You can place the Quick Access Toolbar above the Ribbon or below the Ribbon. You can add your preferred commands to the Quick Access Toolbar. By default, Quick Access toolbar appears on the left side of the title bar, above the Ribbon. But you can also display the Quick Access toolbar below the Ribbon. 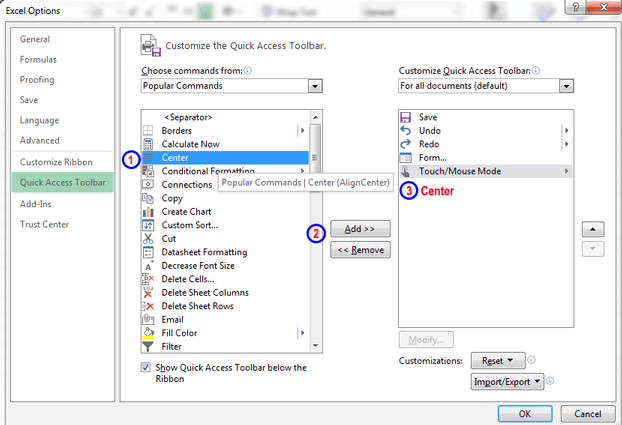 Just right-click the Quick Access toolbar and choose Show Quick Access Toolbar below the Ribbon option. 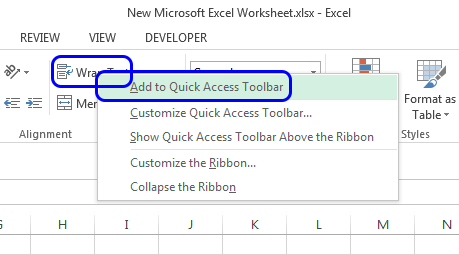 If you display the Quick Access toolbar below the Ribbon, Quick Access toolbar will have more room for icons, but it also means that you see one less row of your Excel worksheet. When the Quick Access toolbar is below the Ribbon, click on the Customize Quick Access Toolbar and select ‘Show Above the Ribbon’ command to place it above the Ribbon. By default, the Quick Access toolbar contains three tools: Save, Undo, and Redo. You can customize the Quick Access toolbar by adding more commands that you use often. You can add a command to your Quick Access Toolbar from the Ribbon. Just right-click on any command in the Ribbon and choose the option Add to Quick Access Toolbar. If you click the Customize Quick Access Toolbar (down arrow to the right of the Quick Access toolbar), you will see a drop-down menu with some additional commands. Click your preferable commands from this list. Excel has some commands that aren’t available on the Ribbon. In most cases, if you want to use those commands, you have to add them in the Quick Access Toolbar. To do this, you have to go to the Customize Quick Access Toolbar, and then choose ‘more commands…’. A new dialog box ‘Excel Options’ will pop-up. From this dialog box, you can add your preferred commands to the Quick Access Toolbar. Quick Access Toolbar. 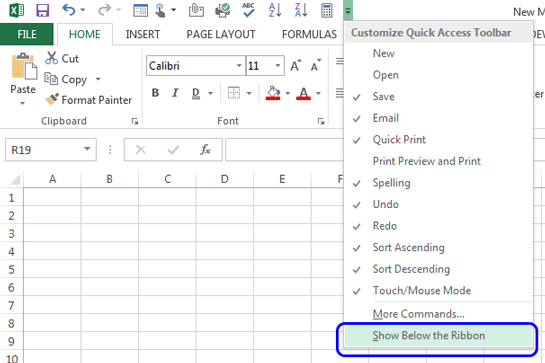 Adding more commands from Excel Options dialog box.